One of the questions we get asked quite often is whether or not we offer for purchase a sample kit or sample pack of our most popular sublimation blanks. The answer we always give is no. Many companies do offer pre-packaged sample kits, and I’m sure they’re useful for many people, but we’ve elected not to go that way. Our philosophy is always been that our customers should be able to choose how to make their purchases in the way that suits them best. For some that may be buying an already created package, like our QuickStartR or WF1100 packages, but others may like the freedom of creating a kit or package that exactly suits their particular need. When you purchase sublimation blanks from EnMart, you can buy as few as one or as many as you need. The only criteria set for a purchase is that your order must meet the store minimum of $25.00. Everything else about what items and how many you purchase is up to you. If you want to buy 1 piece of a variety of items in order to try them out, you can do that. If you need to load up on a few particular blanks, you can do that too. As long as your order meets the minimum requirement, you can structure your purchase in the way that best meets your needs. For those people that are looking to buy larger quantities of an item, we also offer quantity pricing. You can find the quantity pricing for any item on which we offer such pricing by clicking the Qty Breaks link which is next to the pricing in the item listing. Clicking the link will give you a listing of the quantity breaks for that particular item, and help you decide how much you need to purchase to get the quantity break you desire. So, for those who call us asking about a sample kit, we do have one available, it’s just not pre-made. If you need a sample kit, please feel free to go through and purchase one of as many items as you need. 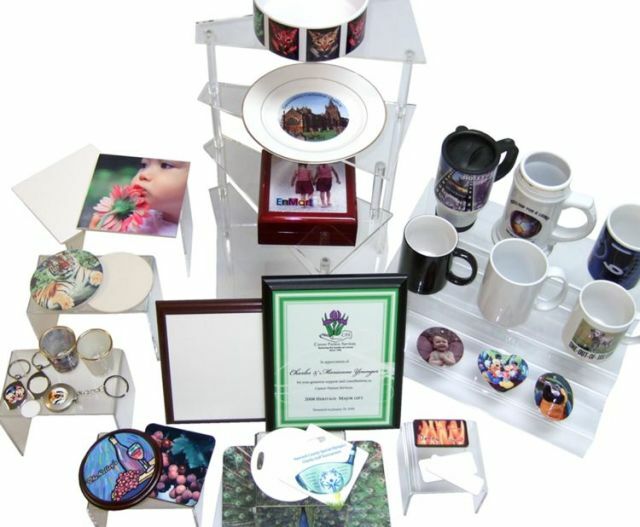 All of the sublimation blanks we offer are the most popular ones our suppliers sell, so you can be sure that your sample kit will contain items that should be popular with your customers as well.